Having missed it upon its initial release, I was delighted to have the chance to catch up with Mollie Gregory’s thorough and fascinating Stuntwomen: The Untold Hollywood Story, which recently came out in paperback. 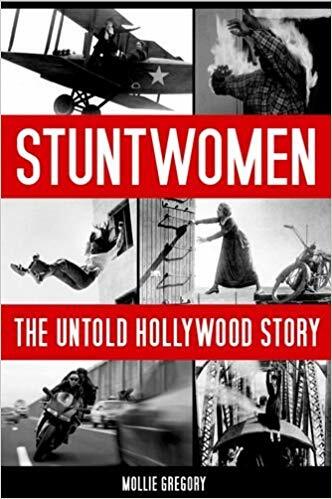 The book, which covers the history of stuntwomen in Hollywood from the beginning of the industry to the present day reveals the unsung heroines of the profession and their struggles fighting for rights, jobs, and respect in a field known for cronyism and sexism. For most of the history of Hollywood, stuntwomen have had to work hard to win jobs, but it didn’t start that way. In the silent era, where there was little framework for the profession, stunts were performed by adventurous, athletic women like Helen Gibson, who threw themselves into the work with little training or guidance. There was a special freedom to being a daredevil behind the wheel of a car or stunting on a motorcycle or the back of a horse when in the early days of film these women didn’t even have the right to vote. When the industry became a full-fledged business in the 1920s though, women were shoved aside. In addition to the female directors and producers who found themselves replaced by men, stuntwomen were put out of work in favor of men in wigs. Performers of color also found themselves out of luck, with painting down white stuntmen a common practice on film sets. Despite these roadblocks, new trends in the industry, such as the rise of blaxploitation flicks and the increasing numbers of action-based television shows in the 70s, led to more demand for performers, which with the addition of activism and organization began to turn the tide for stuntwomen. It took decades of fighting for women to find their place in the boy’s club of stunt work. In addition to sexual harassment, replacement by men for female roles, and closed hiring practices, women who did find work were held to higher standards. If a man made a mistake, he was forgiven. If a woman faltered, she was deemed unqualified for the job. 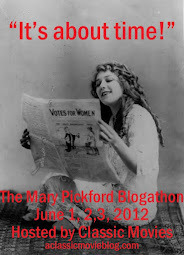 The same held true for outspoken women. Julie Johnson was one of the best stuntwomen in the business and one of few to win a coveted stunt coordinator job. However, when she demanded higher safety standards for her performers on the set of Charlie’s Angels, her contract with the show was not renewed. This led to a lengthy, dispiriting court battle in which the principled Johnson endured brutal treatment, but brought much needed attention to the plight of stunt people and women in particular in the industry. Gregory covers these struggles in detail, but she also consistently focuses on the joy of the profession. These women fought and continue to fight for better conditions and more access to jobs because they are passionate about performing stunts. In several stunt performer profiles, Gregory shares the many ways these women enjoy the thrill of this physical, risky, and rewarding work. The result is an entertaining and intriguing work, with a rich history buoyed by thrilling on-set stories and a wide array of struggle and triumph. Gregory's book is also being adapted into a documentary, which will be narrated by Michelle Rodriguez.